Like many men, Marshall Fredericks chose to enlist in the U.S. military following the bombing of Pearl Harbor. Although over age, Fredericks soon joined the Army Corps of Engineers where he served as the training officer for an engineer camouflage unit. Members of this unit trained to go overseas to camouflage airstrips and air installations. It is during this time in Tucson, Arizona that Fredericks met his wife Rosalind, who was driving a reconnaissance vehicle for the Army Air Force. 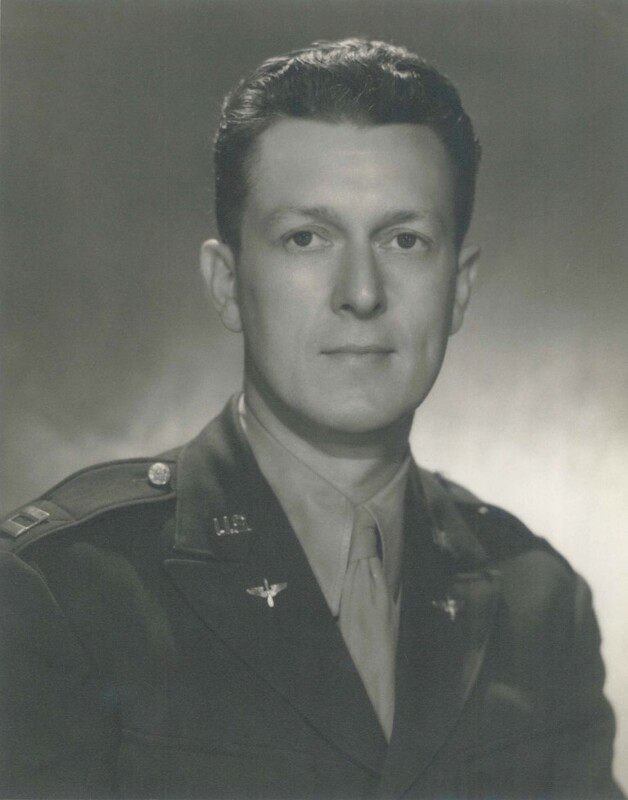 Always an innovative individual, Fredericks developed two new types of target charts while in Tucson, one visual and one radar-related for high altitude bombers. These inventions led to Fredericks transfer to the Army Air Force. His work with these target charts and a camera which he created allowed the military to perform operations which they previously had been unable to perform. As a result, the Air Force sent Fredericks to India and the Far East, including China, the Philippines, and Okinawa. According to Fredericks his “target charts and simulated radarscopes were used throughout the whole Japanese war and were very valuable…to the outcome of the conflict”. During his time in the military, Fredericks attained the rank of Lieutenant Colonel in the Air Force. He was discharged from service in 1945 and returned home to Michigan to continue working as a sculptor. Following Fredericks’ return to the United States, local governments, institutions, and corporations commissioned him to create memorials honoring veterans of World War II. These monuments include Victory Eagle on the UAW-Ford National Programs Center (formerly Veterans Memorial Building) in Detroit, American Eagle (Ann Arbor War Memorial Eagle) at University of Michigan Stadium, and the Eaton War Memorial Eagle monuments located at 7 Eaton Corporation manufacturing facilities in Ohio and Michigan. 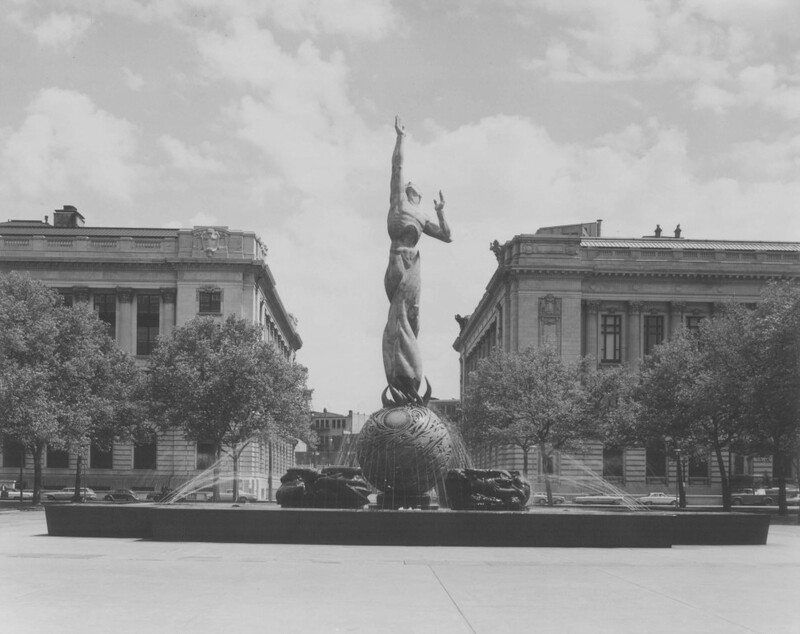 His largest commission, the Cleveland War Memorial: Fountain of Eternal Life, took 19 years to complete. Fredericks spoke about this piece in a 1981 interview with journalist Joy Colby, stating “I was very proud to have participated in World War II…. I considered it a real compliment and opportunity to do something and the big fountain in Cleveland, which is a war memorial and the largest in the country – it was a great experience for me to do that. It is, of course, dedicated to 6,000 dead men and women in Cleveland. It was a tremendous experience to do that as well as the smaller ones”. A former resident of the city and graduate of the Cleveland School of Art, this piece meant a great deal to Fredericks. It’s central figure, Peace Arising from the Flames of War, stands 46 feet tall atop a sphere surrounded by four carved blocks of granite representing the four corners of the earth. The memorial stands in Cleveland’s Veterans’ Memorial Plaza. To learn more about World War II and Marshall M. Fredericks’ wartime service and memorials, visit the Museum to see our latest exhibition “Memories of World War II: Photographs from the Archives of the Associated Press” on display through January 19, 2013. This exhibition is made possible in part by a grant from the Michigan Humanities Council, an affiliate of the National Endowment for the Humanities.